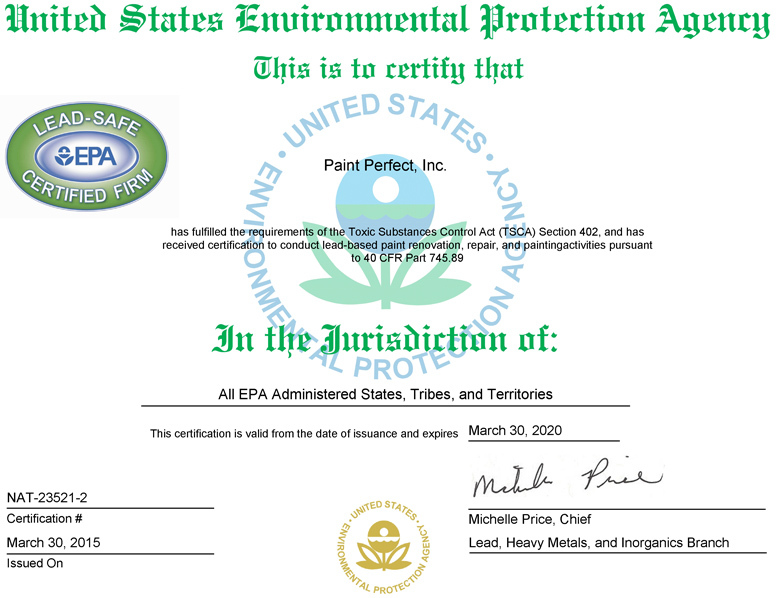 Paint Perfect is a licensed painting contractor in Massachusetts and Connecticut. 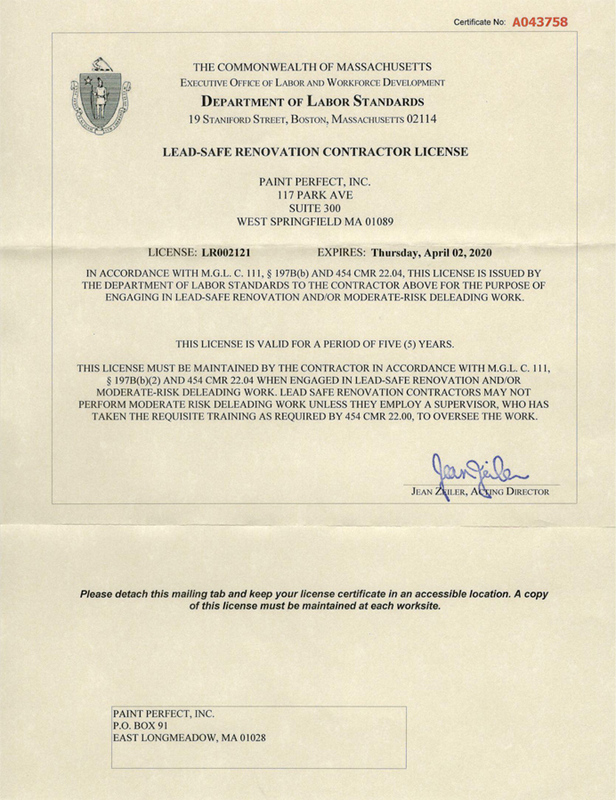 We are also a lead safe renovator with certifications from MA and the EPA. 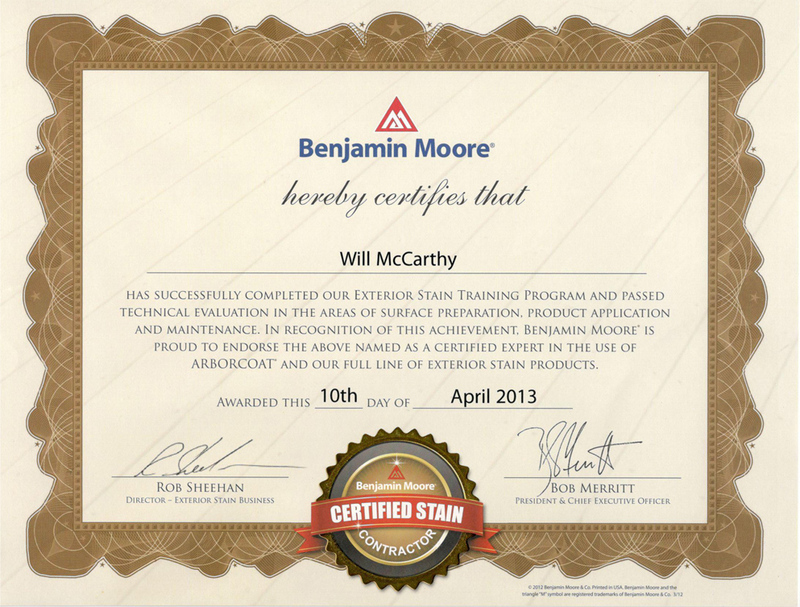 Click on the license numbers to see the original copies of the certificates.